The Owl EC-105 Compact Power Supply operates as a constant voltage power supply and is very simple to use. 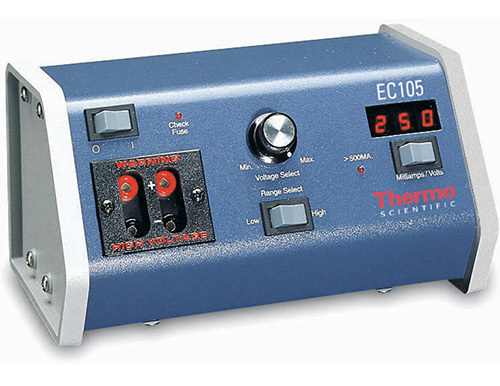 The adjustment knob and hi-lo range switch control the output, which is variable in 10 V increments from 20 V to 250 V. One, two-position switch toggles the bright LED display from indicating output voltage to output current. The supply is also equipped with an over current detector for maximum safety and has two jacks.